17 Stunning monsoon destinations in India that will pour you with amazement! Home Seasons Monsoon 17 Stunning monsoon destinations in India that will pour you with amazement! Monsoon destinations in India are Sureshot lifelong experiences as these beautiful destinations leave you breathless with its pleasing charm. The hills and mountains are surfaced with lush greenery, the wind blows in madness, the lake flourishes with shimmering water and the scenes of the waterfall become heavenly to fall in love, that what makes India unique in its own way! India is a country which will astonish you with its eloquent landscapes and we are so blessed to be part of this beautiful space. 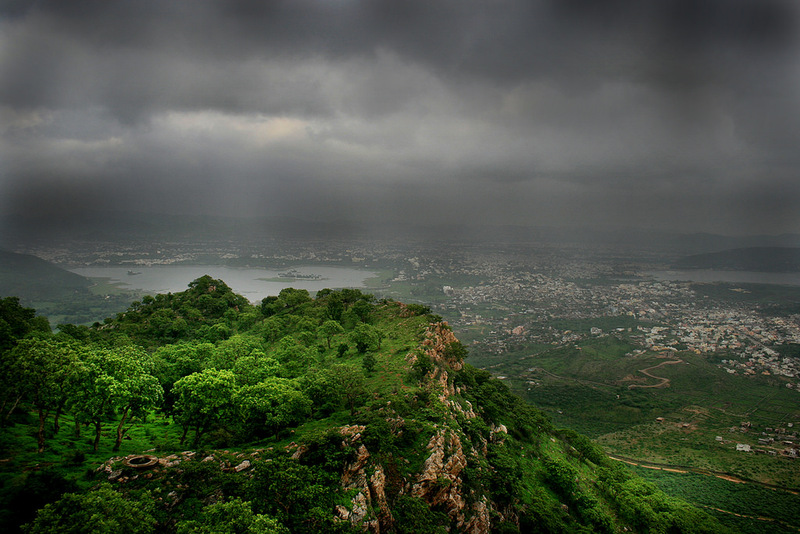 Here are some of the amazing monsoon destinations that will drive you towards them and enjoy to the fullest. Mesmerizing weather, the sound of the cold breeze as guitar stringing at its melody best, atmosphere surrounded by mist and the curtains of greenery everywhere- if you are in Coorg during the pleasant rains, then it is worth visiting this place with priceless memories. Immerse yourself to see the eye-catching sights and don’t forget to have your favorite tea at the world’s highest tea garden. Rail: About 120 km away, the nearest railway station is at Mysore from Coorg. Road: Coorg is well connected via road with all major cities in Karnataka. Munnar is a place for the family, couple, adventure seekers, wildlife and nature admirers. This place is undeniably a heart-stripping one, covered with a foggy atmosphere which wraps its blanket on tea plantations, stupefying Attukad Falls, highest Anamudi peak are some of the exquisite beauties of this wonderful city to explore at its peak. 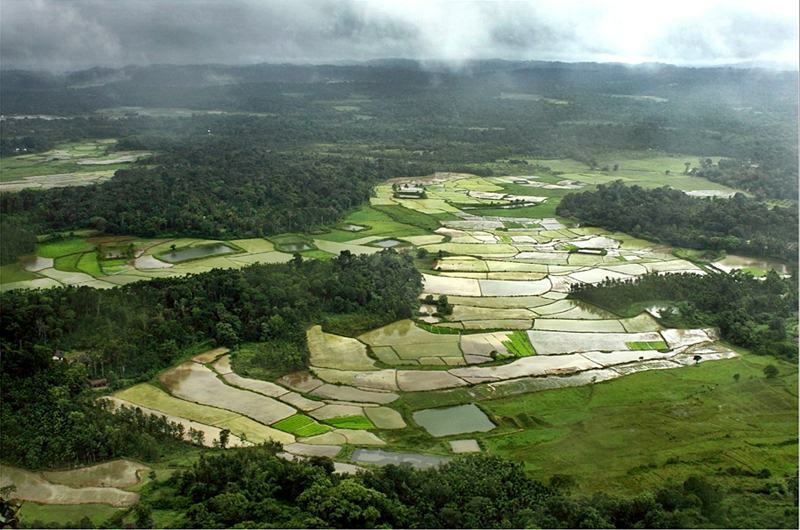 Air: Cochin International Airport is the nearest airport which is around 125 km away from Munnar. Rail: The closest railway station is in Kochi or Ernakulam. Road: Once you reach Kochi, Aluva or Ernakulam you can hire a cab or take a bus to Munnar. Also, you can book tickets at Kerala State Road Transport Corporation (KSRTC) website or can get it from the counter of the bus terminal positioned next to Aluva railway station. 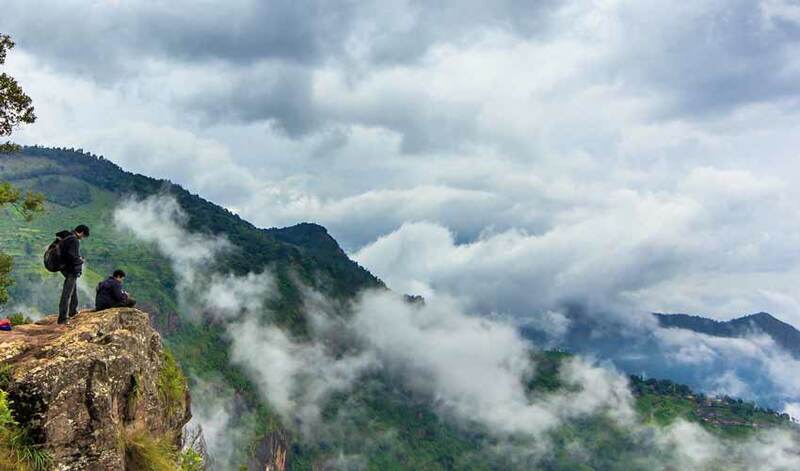 Enchanting fresh look, waterfalls, breezy surroundings, pleasant purple kurinji blooming and the beautiful petrichor (the wonderful smell of rain-clay soil) make Kodaikanal not just a honeymoon destination, but also hits the heart of nature lovers and adventure seekers. Best Time To Visit: Throughout the year, you can visit Kodaikanal, but the best time to visit is during Winter between October and March. In the Summer months of April to June and the monsoon from July to September contribute for a memorable Kodaikanal trip. Air: Madurai is the airport nearest to Kodaikanal, about 120 Kms away. Trichy airport and the Coimbatore airport, are the other two nearest airports at a distance of 150 Kms and 175 Kms respectively. A bus is easily available from the airport to Kodaikanal. Bus: There are regular bus services available from the cities of Chennai, Coimbatore, Pondicherry, Madurai, etc. Train: At a distance of 100 Kms, many tourists choose the rail route and get down at Kodai Road from the main town. You can even hire a taxi/cab from here. Note that being the only mode of transportation from Kodai Road to Kodaikanal, taxi fares are not all that negotiable. Road: You can easily reach Kodaikanal by road from Chennai (439 Kms) and Bangalore (305 Kms). It’s only about 3.5 hours away from Madurai. Make sure that your fuel tank is full as there are very limited gas stations on the way. One of the most fun and romantic destinations to hit is Kerala on the Malabar coast. Kerala during the beautiful rainfall has the ultimate tree houses camouflaged amidst the forest encircling the misty atmosphere. 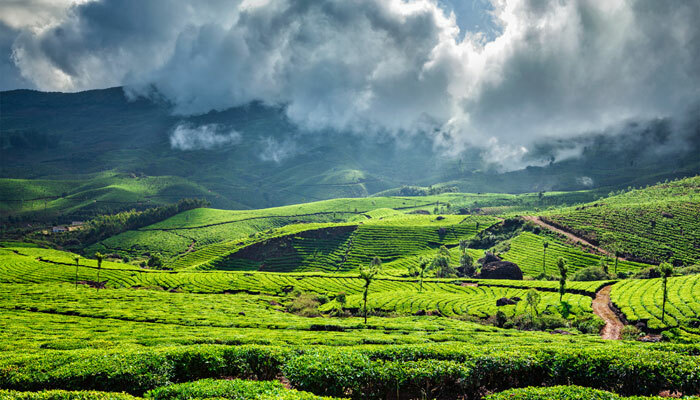 Enjoy the charm of rain embrace tea plantations alongside a long romantic walk and have the pleasure to trek the scenic mountains. Best Time To Visit: The best season to visit Wayanad is from October to May and during the rainy season that is from June to September is a great time for nature lovers as Wayanad is full of greenery at this time. 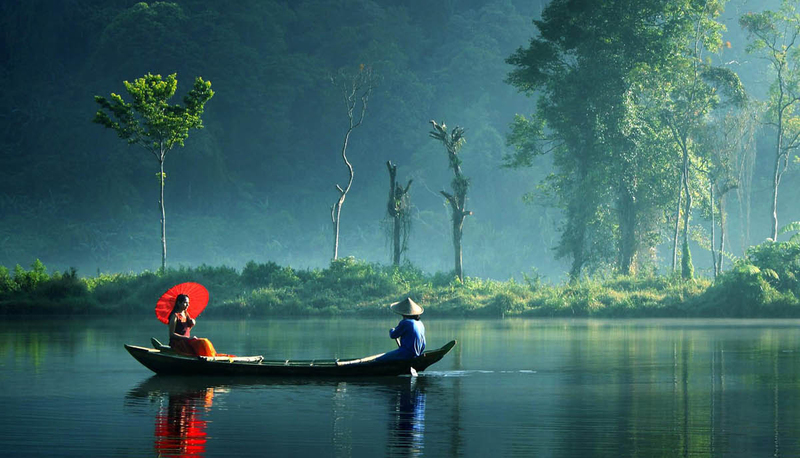 Things To Do: Sightseeing, wildlife tours, trekking, and other outdoor activities. Air: The only airport situated in Wayanad is the Karipur international airport at Kozhikode which is 100 km from the city. From Delhi, Mumbai, and Chennai along with Oman, Qatar, Kuwait, and Saudi tourists can easily reach Wayanad. Rail: The nearest railway station to Wayanad is Kozhikode Railway Station which is110 km from the city. There’s good connectivity of train services to Trivandrum, Kochi, Chennai, and Bangalore. Road: There’s a good network of KSRTC buses to the neighboring cities. Bus: Public and private buses, taxis, cabs, motorcycles, autos, and rickshaws are different vehicles spotted on the roads of Wayanad. You can explore the city using any of these modes of transport. 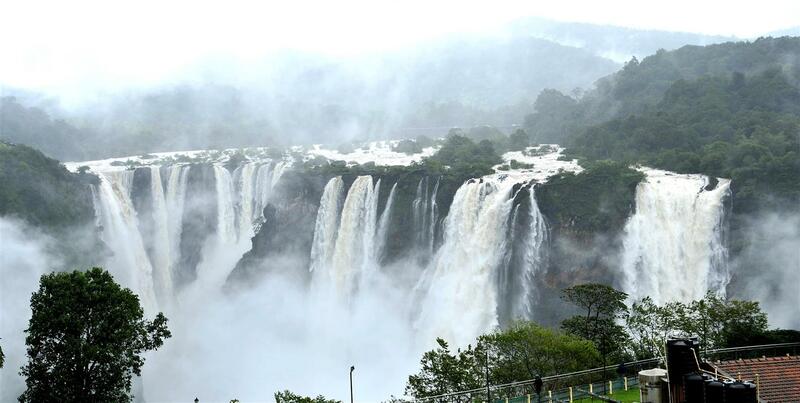 Enjoy the scenic wonders and magical blessing of nature in the form of Athirapally falls in Kerala. Best Time To Visit: From September to January. Air: At a distance of 40 Km, Cochin Airport is the nearest airport to Athirapally. Rail: 32 Km away lies Chalakudy which is the nearest junction to Athirapally. Road: You can go via public/private vehicle from Chalakudy to reach Athirapally. 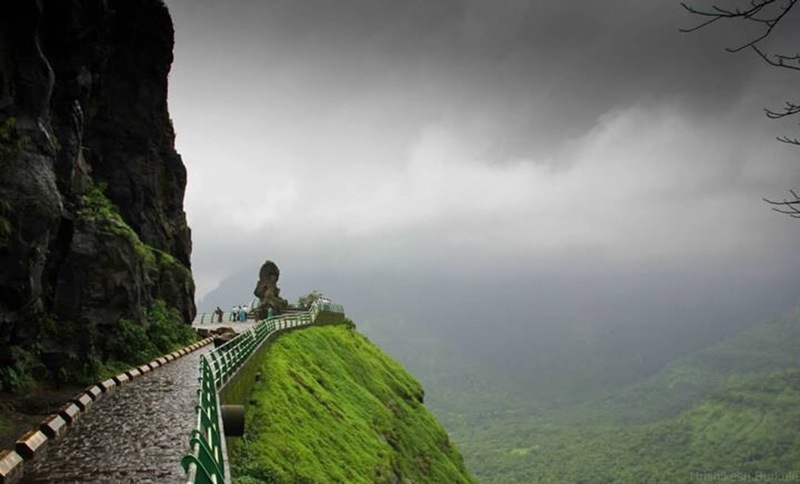 The raindrops in the Malshej Ghat on the Western side makes an enthralling sound in the ears. 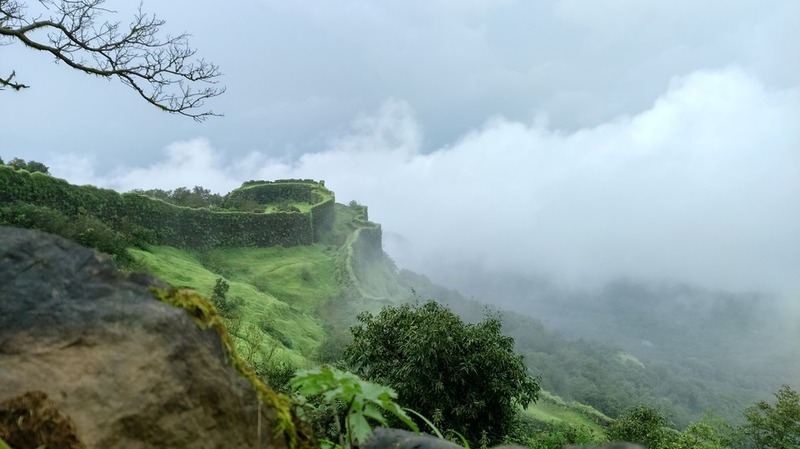 The crowded trenches, alluring lakes, splendid waterfalls, and the historic Shivneri fort all blends in one to make this beautiful vacation destination. For nature and adventure lovers, it is heaven and a place to forget all your stress. During the monsoon, the red and orange migrants of flamingos are the main attraction of Malshej Ghat. Air: The nearest airport is New Pune International Airport, 57 kms away from Malshej Ghat. Rail: As there’s no railway station in Malshej so, it’s easy to travel via Kalyan which is 85 km away from Malshej. Road: Mumbai-Pune Highway connects Malshej to these major cities. Bus: Frequent state transport buses are available from Mumbai, Pune, and Panvel to reach Malshej Ghat. The spellbinding beauty of Mahabaleshwar & Panchgani is something at another level. The lush green scenic atmosphere, gushing waterfalls of Veena Lake are the center of attraction. To enjoy a wonderful sunrise view, enjoy the majestic Lingamala falls or reach the Connaught Peak. The beautiful series of color bands are waiting for you in rainbow form. Best Time To Visit Mahabaleshwar: The trip to Mahabaleshwar never disappoints you as it’s pleasant throughout the year. From December to February, the Winters are mild which is a great time for sightseeing and outdoor activities. It’s a popular time for couples, especially honeymooners. From March To June, the place is popular amongst the families who plan trips around summer vacations in schools. From June To September, Mahabaleshwar receives heavy rainfall every year. The hills look amazing and it’s a great time to find good deals at hotels. From October to November, the weather becomes pleasant which is perfect for sightseeing and all outdoor activities. Air: Mahabaleshwar doesn’t have an airport in the town itself. The nearest airport is in Pune, which is about 120 kilometres away. You can take a taxi or a bus from here to Mahabaleshwar. Bus: Between Mumbai and Mahabaleshwar, there are several buses services at a distance of about 247 kilometres. Rail: The nearest railway station from Mahabaleshwar is Wathar at a distance of 60 Km. Road: One can drive from Mumbai to Mahabaleshwar which takes about 4 to 5 hours depending on the traffic. You can go via two routes – one is to go from Panvel through Mahad and Poladpur; another one is to take the Mumbai -Pune expressway and the highway starting from Pune to Satara. Air: Pune Airport is the nearest Domestic Airport which is about two and half hour drive from Panchgani. Pune airport is well-connected to a bunch of cities like Bangalore, Chennai, Delhi, Hyderabad, Indore, Kolkata, Mumbai, and Kochi through Jet Airways, Air India, Air India Express, Go Air, Indigo and Kingfisher Airlines. Rail: Pune Railway Station is the nearest station located at a distance of 105 Kms from the city. It’s connected to prime cities like New Delhi, Mysore, Lucknow, Chennai, Puri, and Jaipur through Udyan Express, Gandhidham Express, Mumbai Express, Mumbai Mail, Rajkot Express, Pune Shatabdi, Mahalaxmi Express, and Cstm Latur Express. Road: From Satara, Panchgani is 47 Kms, 102 Kms from Pune, 82 Kms from Phaltan, 250 Kms from Mumbai, 301 Kms from Kunkeshwar, 310 Kms from Nashik, 360 Kms from Ghrishneshwar, 380 Kms from Bordi, 423 Kms from Dhule and is connected via Maharashtra State Road Transport Corporation (MSRTC) and some private travel services. Goa in Monsoon is a treat to watch the endearing sights and enjoy! Just pour yourself in the fun of crazy nightlife, relax on the wonderful beaches, try the local cuisine, become adventurous, and trek to Fort Chapora and enjoy the drizzling around the ocean. Best Time To Visit: Visit Goa in between November and March when the weather is refreshing & clear with a cool sea breeze hitting your face. Air: The nearest airport is the Dabolim Airport at a distance of almost 29 kilometers away from Panaji. 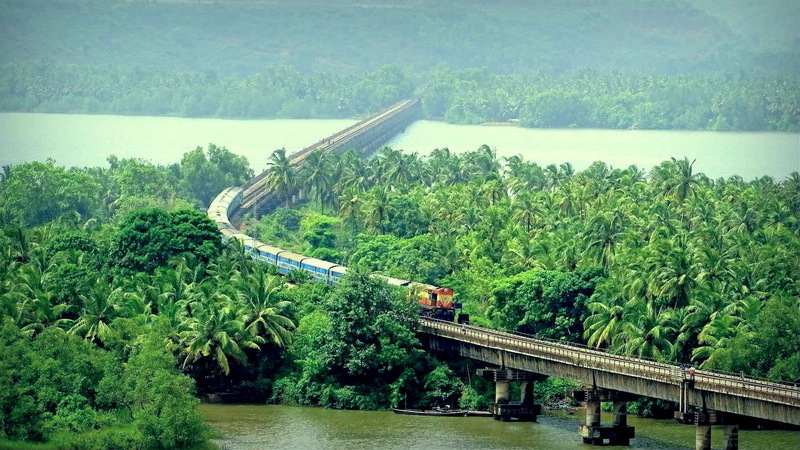 Rail: The major railway stations in Goa are located in Margao. These two stations are Madgaon and Vasco-da-Gama. Road: Kadamba bus stand of Panaji is the nearest and main bus stand in the city. Seeing the cloud jumping to the mountains is the most attractive thing that will make your day! The Konkan Coast drapes the pleasant ambiance, amazing destinations, finger-licking Konkani cuisines and much more. Some of the major scenic attractions of Konkan engulf, Napne Waterfalls, Dapoli, Arevare sea face and beach, Vayangani beach, Ganpatipule which hits the popularity graph at the vertex in the monsoon. If you are in search of an undisturbed location for a weekend to relax, this is the apt place for you! 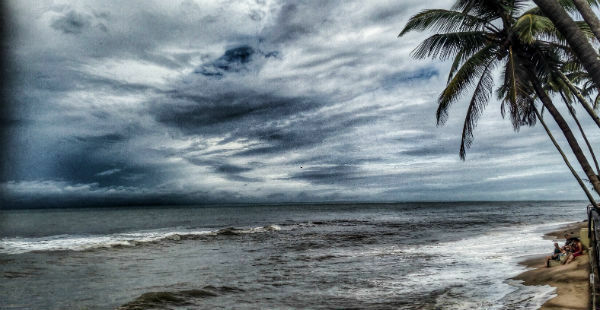 Monsoon: During these monsoon months, as it is with most other parts of India, the Konkan belt also receives heavy rainfall and the climate remains humid and warm. The temperature in this season is around 30 degrees Celsius. If heat and humidity is not your type, then it is advisable not to book the Konkan vacation package in these months. But a drive on the beaches is a lovely and soothing thing to experience during these months. Summer: During these months the temperature during daytime increases to 40 degree Celsius. The atmosphere remains mostly humid in this period. Winter: The best time for traveling to Konkan is for those who want to experience milder temperature and low humidity. During these months the weather is cold and dry and especially comfortable for the Western people. At this time the climate is cool and the humidity is less. Air: Dabolim is the closest air terminal to Konkan, located at a distance of 186 Km. You can even stop at Mumbai International airport which is at a distance of 492 Km away. Road: Konkan region is accessible from Nandgaon village at a distance of 42 Km and can be reached by driving via NH 17 (National Highway) which is also known as the Mumbai – Goa Highway. The distance from Devgad is 14 Km. Alternatively, you can also drive through the Mumbai – Kunkeshwar passage which is a distance of 492 Km, Kolhapur – Kunkeshwar route which is of 387 Km or Pune – Kunkeshwar passage which is 387 Km. A peaceful location, filled with endless beauty, snow-capped mountains, misty climate, enchanting roads speaking the enticing beauty of Leh Ladakh in monsoon. Crystal clear lakes, calm Buddhist monasteries, colorful festivals all in abundance make you drive to visit Leh Ladakh especially in the rainy and which is regarded the best time to explore the most and have unforgettable memories. Air: The closest airport is Kushok Bakula Rimpochee Airport in Leh. The airport is well-connected with many international airports in India like Delhi. Also, it receives flights from Srinagar, Jammu, Chandigarh and other common and popular destinations in India. Note* It’s important to have all your documents ready before you enter Ladakh via the airport. It will be better to have a hard copy of your e-ticket. Bus: From Srinagar and Manali, there are government and private buses. If you’re opting Srinagar, pass through Zoji La Pass to reach Ladakh and you will be going through Rohtang Pass to reach Ladakh from Manali. For bus entries, the Srinagar path is open from June to October. The Manali route is open for bus routes from June to September. If you plan to hire a bus from New Delhi then it would take a minimum of 4 days to reach Ladakh. Rail: Tawi is the nearest railway station in Ladakh, located at 700 Km away from Ladakh. Other closest railway stations include Chandigarh and Pathankot. At least three days are required to reach from the railway station to Ladakh. Bike: If planning to go via road, then May and mid-October is the best time. During this time, mostly the roads in Ladakh are open and are in prime condition. If you prefer bike then there are two routes – From Delhi, one is the Manali route and the other one is the Srinagar route. 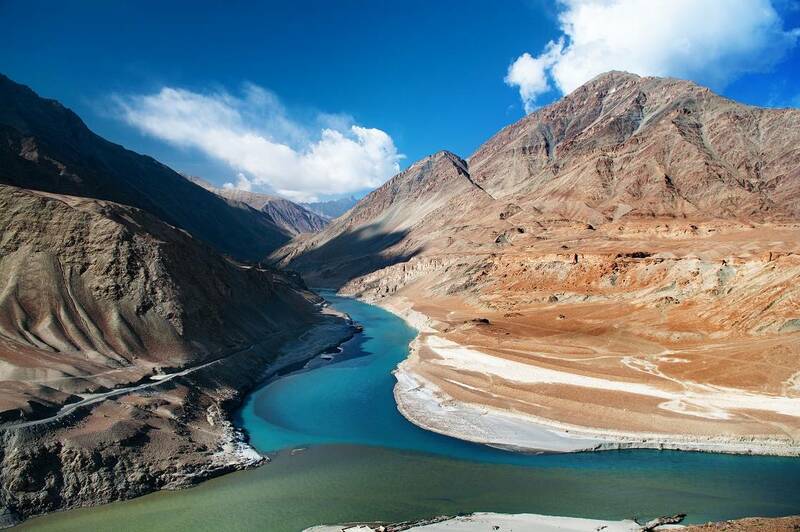 On your way to Ladakh, you can halt at popular tourist destinations like Sarchu, Shargol, Drass or Kargil. Hire Taxi/Car: Hiring a taxi or car cost around 15,000 to 21,000. The cost depends upon the destination from where you hire a taxi. 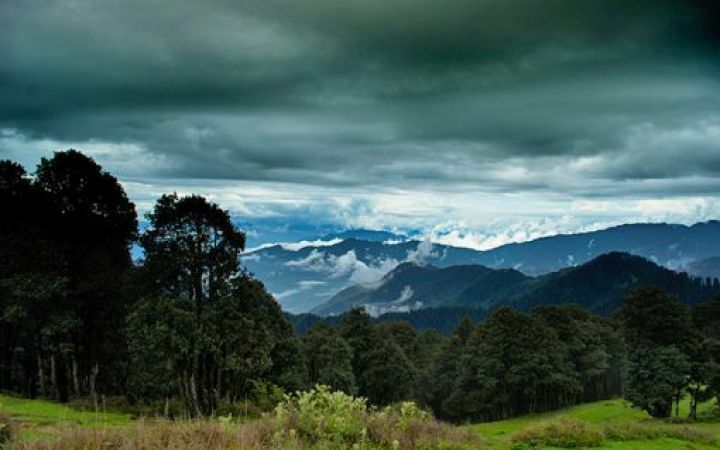 Kausani is heaven to flourishing green environs of Uttrakhand, also known as “Switzerland of India”, which fascinates thousands of visitors with its captivating weather, undisturbed settings, and unexplained amazing wonders. The charming snow-covered Himalayan peaks of Trishul, Panchachuli and Nanda Devi is an add-on beauty to this garnering place. Don’t forget to visit the tea factory and enjoy the caffeine in the city. Best Time To Visit: During the months of December, January and February, Kausani experience snowfall and thus it’s the best time for a honeymoon. Kausani’s hill resort is a retreat in the summer months and can be visited during April-June and September-November. Summer months (April to June) are very pleasant, temperature doesn’t exceed 27 degrees Celsius and minimum is about 10 degree Celsius. This is the best time for amazing sightseeing and enjoying the adventure. Air: Nearest airport – Dehra Dun Airport (DED), Dehradun, Uttarakhand which is 157 Km away from Kasauni. Also, instead of Kausani, you can get a flight to Dehra Dun Airport on a frequent basis. From Indira Gandhi International Airport (DEL), New Delhi, Kausani is 269 Km away. Train: Kathgodam is the nearest railway station which is just located at a distance of 142 km. Bus: Kausani is well-connected to other major cities of the country with regular bus services. You also have the option of traveling via taxi or buses right from the railway station for Kausani. Shoja’s unique beauty is surely overwhelming. There are many trails and trekking options around Shoja, which adds fun to your monsoon trip. Some picturesque locations including Raghupur Fort Meadows, Serolsar Lake, Waterfall point are ideal places for the monsoon migration. Air: Bhuntar is the nearest airport at a distance of 54 km. Rail: Chandigarh is the closest station at 279 km of distance. Road: (from Delhi) Tirthan Valley is reached by the Chandigarh-Manali NH21. Drive up to Chandigarh via Ambala. From there, drive along NH21 to Aut via Mandi. 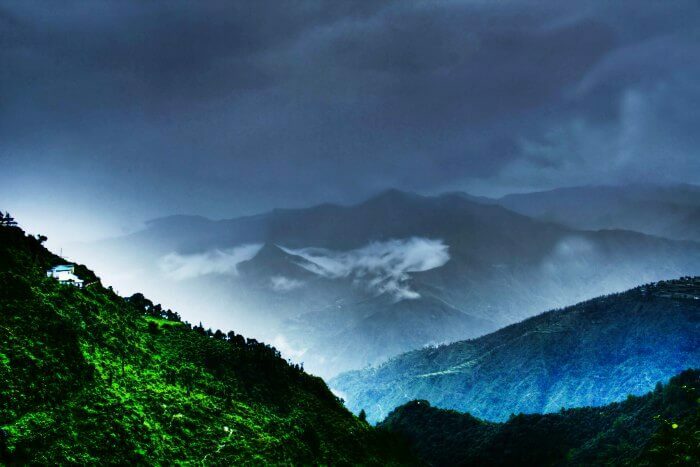 Do you want to hold the spectacular beauty of Mussoorie during the monsoon? Yes, it is exactly how you will feel after visiting this place. 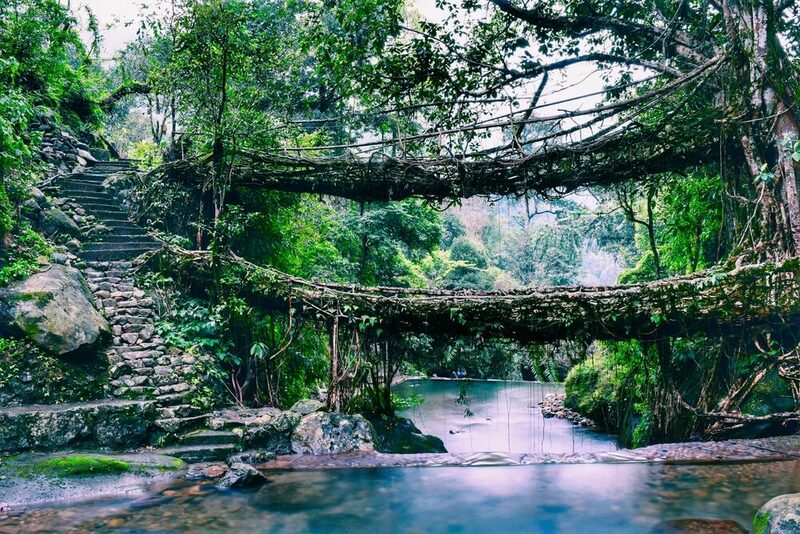 The goosebump scene of the Doon Valley and Shivalik Range, tempting mountains, blossoming flower valleys and magical clouds striking your eyes will make you fall love in Mussoorie is the must-visit destination. Air: The nearest railway station to Mussoorie is Jolly Grant Airport at a distance of 60kms. Road: From Jolly Grant Airport to Mussoorie, taxis are easily available. Rail: The nearest railway station to Mussoorie is Dehradun Railway station at a distance of 36kms. Jaipur is a well-known place for the historical structures, the iconic palace, resonant roads, and sparkling lakes, also called the “pink city”. Altogether it brings live during rainy. Pave your way to the famous Hawa Mahal, City Palace, City Palace, and Jantar Mantar while you are in Jaipur during this season. Summer: From April to June and are very hot and dry. Air: The Jaipur Airport is the closest airport at Sanganer, located at a distance of 12 km. 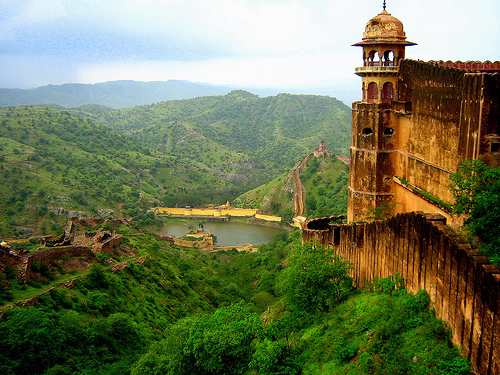 Popular flights like Jet Airways, SpiceJet, Air India, IndiGo, Oman Air have daily journey to Jaipur. Bus: Opting a bus service is a pocket-friendly decision and also a convenient idea if you are looking to have a budget holiday. In between Jaipur and other cities within the state, the Rajasthan State Road Transport Corporation (RSRTC) runs regular, Volvo (air-conditioned and non-air-conditioned) and deluxe buses are available. You can even board a bus from Narayan Singh Circle or the Sindhi Camp bus stand. There are regular bus services from not just Delhi but other cities like Kota, Ahmedabad, Udaipur, Vadodara, and Ajmer. The fare is very reasonable and very easily you can travel with your families in these buses. Rail: Travel to Jaipur via one of the fastest trains in India, Shatabdi Express which is air-conditioned, very comfortable and connects Jaipur to many important Indian cities like Delhi, Mumbai, Ahmedabad, Bhopal, Jodhpur,Lucknow, Udaipur, Jammu, Jaisalmer, Kolkata, Ludhiana, Pathankot, Haridwar, Patna, Bangalore, Hyderabad,Chennai, and Goa. Some of the popular trains running to Jaipur are Pune Jaipur Express, Jaipur Express and Adi SJ Rajdhani, and Ajmer Shatabdi. With a great number of castles, pastoral markets, and wonderful local culture, Udaipur exposes the same glory, royalty, and luxury that glorifies the royalness of Maharajas and Rajputanas aura. 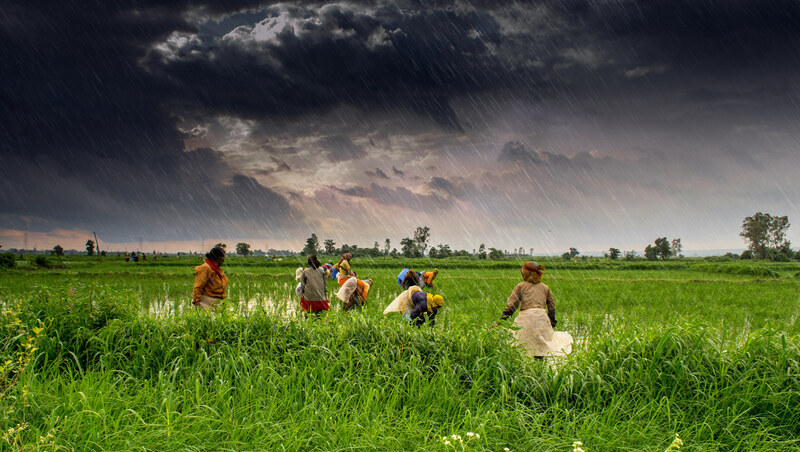 During the monsoon, the state immerses into a rich green environment with a pleasant atmosphere, which makes it a famous place for monsoon vacation. To understand the beauty of nature, go to Udaipur Ghat, Fateh Sagar Lake to feel nature’s beauty. Best Time To Visit: Choose the months of September, October, November, December, February, and March. Air: The city has its own airport, which is 22 km away from the city. Train: The Udaipur railway station is the nearest railway station connected with almost all cities of Rajasthan and with important cities around the country. From the railway station itself, you can hire cabs, auto rickshaw and other options to reach your specified destination. Bus: Udaipur bus stand is the nearest bus stand from where can find regular buses from multiple cities inside Rajasthan and several top cities around the country. Some places say must-visit me in monsoon, the capital of Meghalaya, Shillong is a destination that offers breathtaking views during the rain. The amazing cascading waterfalls, photogenic landscapes, panoramic mountain peaks, historical museums, serene water lakes and a wide variety of flora and fauna enhances the beauty of this place. March to June: March and April see the arrival of summers, still the weather is quite pleasant. June to September: Average to heavy rainfalls in Shillong in monsoon months. October to February: In October, rainfall stops and the weather begins to cool breeze. Air: Shillong doesn’t have its own airport. The nearest airport to the hill station is the Umroi Airport near Barapani, located at a distance of 25 kilometres. Train: The nearest railway station from Shillong is in Guwahati, which is 100 Km away. Road/Self Drive: Board a bus from Guwahati to Shillong. 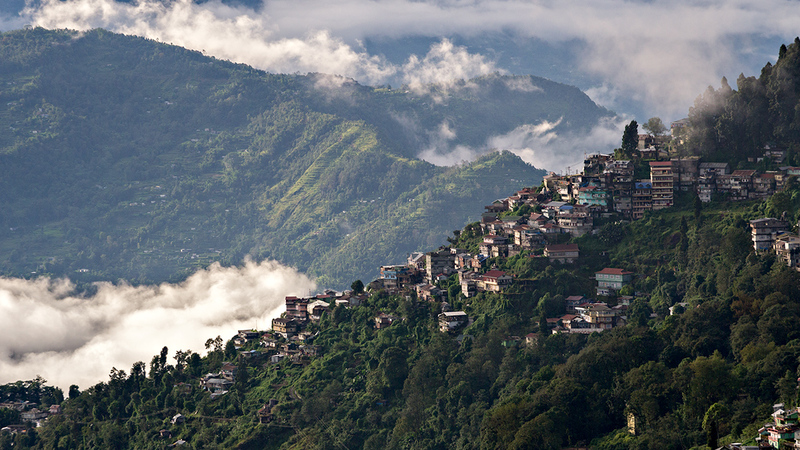 Darjeeling, the queen of hills, captures the looks of greenery all around during monsoon. Every inch of Darjeeling reflects the uniqueness and reflects diversity in all aspects. What you will definitely love in Darjeeling are the Buddhist monasteries, tea gardens, culinary delights (especially, steam momos is served with hot chili sauce), colorful festivals, and finally, traveling around a toy train during the rains. So, what are you thinking! Just take make a plan with your friends and get ready for monsoon break in the coming weekend. Best Time To Visit: The ideal time visiting Darjeeling is during summer months from April to June and couples prefer to visit this amazing place during winter months from October to December. Air: Bagdogra is the nearest airport which is approximately 95 Km away from the city. And the other nearest one is Pakyong Airport. Rail: New Jalpaiguri is the nearest railway station to Darjeeling. Road: Darjeeling is connected to major cities like Gangtok and Kalimpong which are located at a distance of 100 km and 51 km respectively.